Below you will find the November newsletter. The Studio will be closed Thursday, November 22nd through Sunday, November 25th. Studio will reopen Monday November 26th. Thank you to everyone who participated in Bring a Friend to Dance Week! We had a wonderful turn out and we hope your friends enjoyed their dance experience as much as we enjoyed having them in class. Encore is participating in the “Toys for Tots” program again this year. Please help make a child’s holiday happier! Donations accepted thru December 14th. On Dec 1st & 2nd Encore Performance Company will be performing at the Harrisburg Christmas Craft show at the Farm Show Building. Show times are 12:15 and 2:45 both days. Please come and support our dancers and do a little holiday shopping at the same time! The recital dates are June 21st, 22nd, & 23rd at Hempfield High School. We began taking costume deposits in October. We ask that you put a $40.00 per costume deposit down as soon as possible. 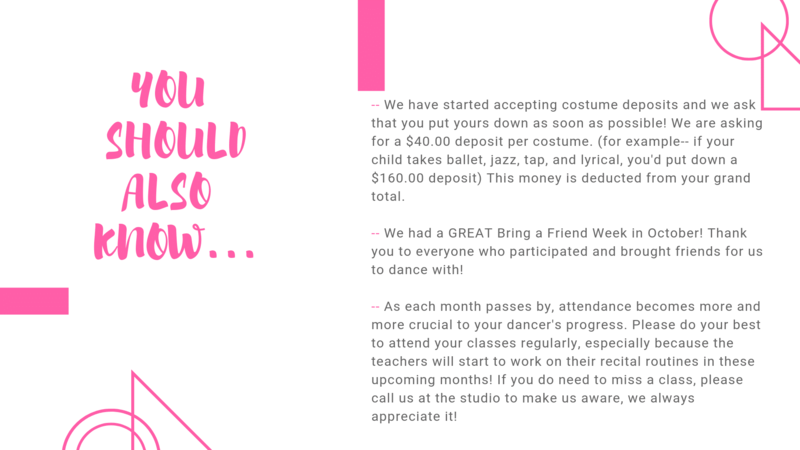 I know with the holiday season approaching quickly the last thing you want to do is put money down on costumes that are being used for a June performance. This deposit is used to help us get our costume orders processed as soon as possible. We begin ordering costumes over Christmas break and it takes approximately 12 to 14 weeks to get the costumes. It is very important that we receive deposits as soon as possible. Undoubtedly, there are questions you would like to ask your teacher. 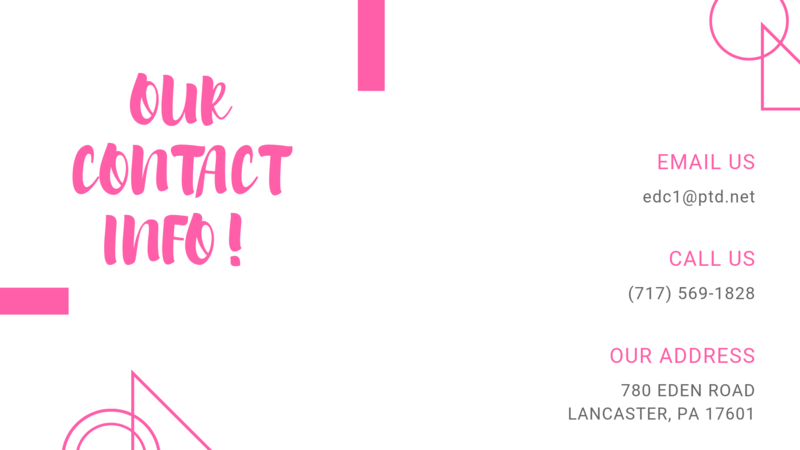 The best way to ask your teachers is to leave a message at the front desk and we will get back to you as soon as we can. Please do not interrupt classes to ask the teacher a question. 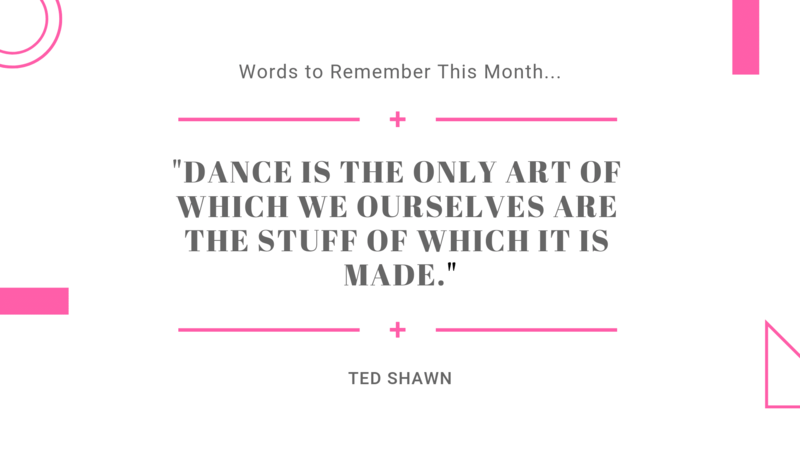 Attendance – Attendance is the key to having a well rehearsed number. We encourage you to attend class as much as possible. When you miss class, the entire class suffers. We were delighted to perform for the residents at Legend of Lititz Retirement Community on Saturday, October 20th. Encore Performance Company did a wonderful job with the performance and the dancers were treated to homemade cookies after the show! Encore Performance Company participated in the Lititz Halloween on Monday, October 29th and had a great time! Everyone looked awesome & scary and did a wonderful job. “BE THE CHANGE” BENEFIT SHOW SCHEDULED FOR FEBRUARY 2nd, 2019 AT MILLERSVILLE UNIVERSITY FOR EXCENTIA! We have started planning for the benefit show and are so excited to raise money for such a wonderful cause. GET A JUMP ON YOUR CHRISTMAS SHOPPING WITH OUR ON- LINE STORE! VISIT US AT TEAMSTORE.GTMSPORTSWEAR.COM/ENCORE! 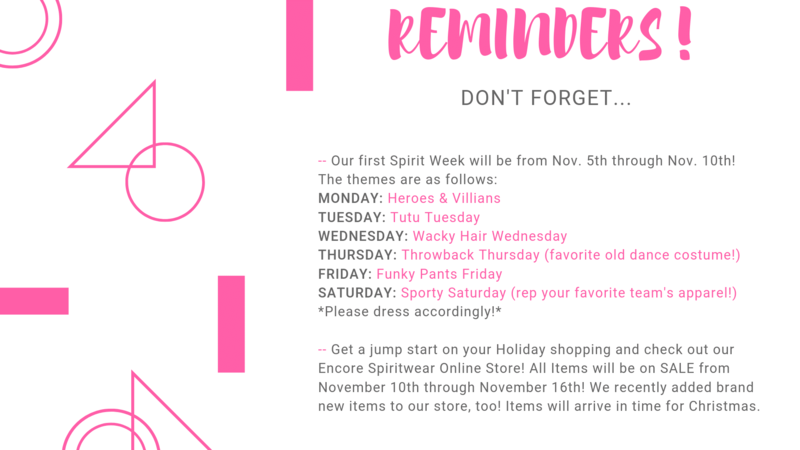 ALL ITEMS ON SALE NOVEMBER 12th – 18th. ITEMS WILL ARRIVE IN TIME FOR CHRISTMAS!! 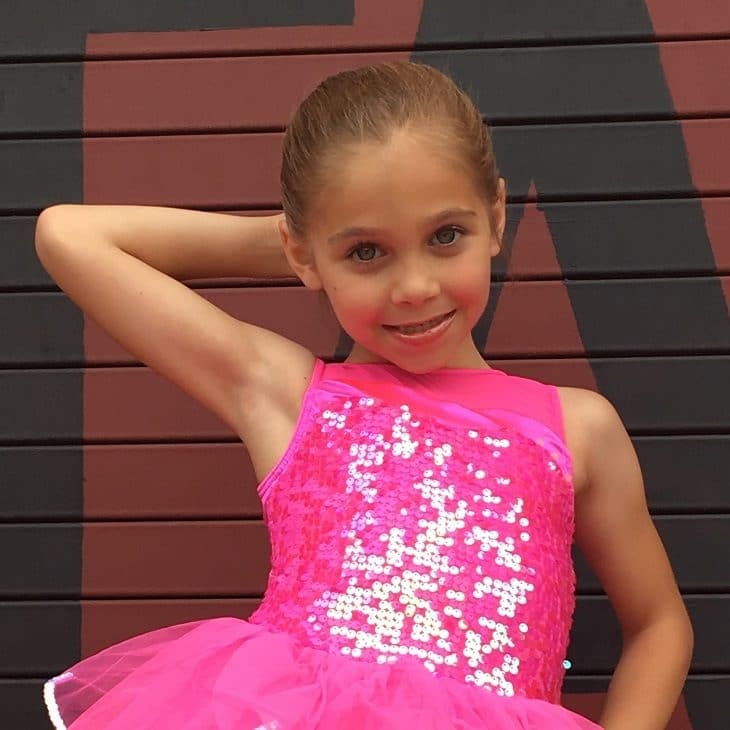 I began bringing my daughter to Encore at age 3, looking for a class to help with balance and body awareness. We are now entering our 6th year and absolutely love this studio! They not only work to build a love for dance, but also to instill a sense of confidence, strength, and friendship in their students. We couldn’t be happier to be a part of the Encore family! 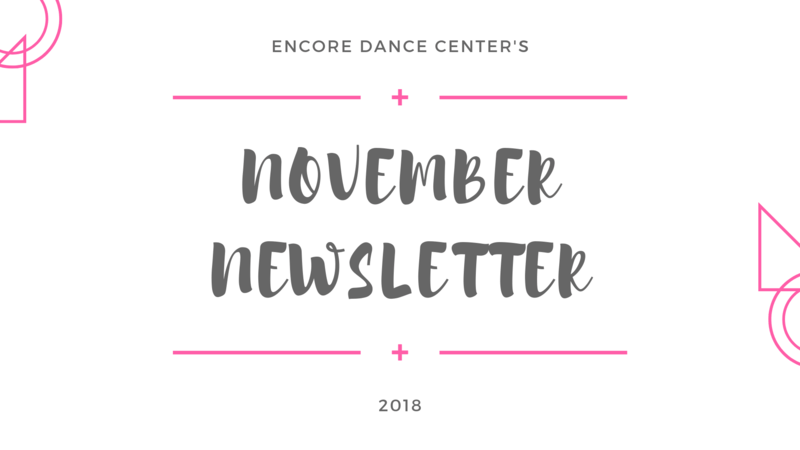 Sign up for our email newsletter to stay up to date with everything happening at Encore Dance. Lancaster County’s premier dance studio inspiring each student to nurture their desire to dance and perform. Dance Classes include jazz, tap, ballet, hip hop and more.